FARM LAND FOR SALE WITH WATER CREEK, VALLEY OF PEACE ROAD, CAYO DISTRICT, BELIZE, CENTRAL AMERICA. FOR SALE A BEAUTIFUL 100 ACRES FARM LAND WITH BEAUTIFUL RUNNING WATER CREEK LOCATED ON THE VALLEY OF PEACE ROAD, CAYO DISTRICT, BELIZE, CENTRAL AMERICA, C.A. 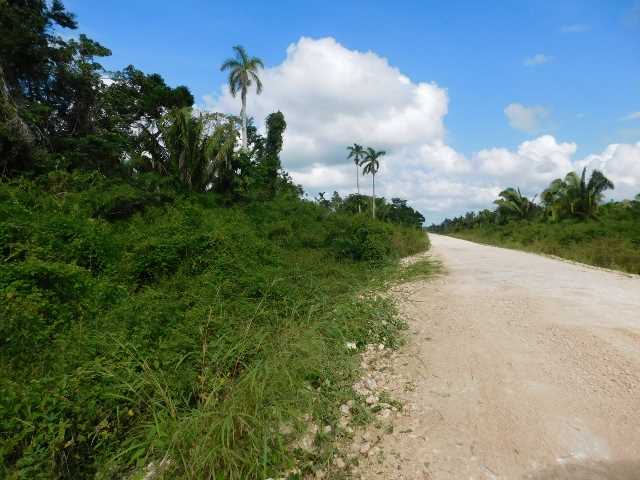 THE LAND IS SUBDIVIDED IN TWO PARCELS OF 50 ACRES EACH AND IS LOCATED ON THE ROAD SIDE OF THE VALLEY OF PEACE ROAD JUST ABOUT TWENTY (20) MINUTES DRIVE FROM THE PINO CAWICH BRIDGE LOCATED ON THE BELIZE RIVER NEAR CAMALOTE VILLAGE WHERE THE ENTRANCE OF VALLEY OF PEACE ROAD IS LOCATED. IF INTERESTED TO BUY PLEASE CONTACT MEL AT (501) 607-9177 OR AT EMAIL melar25@yahoo.com FOR MORE INFORMATION AND TO VISIT THE FARM LAND. THE LAND IS ONLY SOLD AS A WHOLE BUT TWO PERSONS CAN JOIN AND BUY TOGETHER EACH PURCHASING ONE OF THE PARCELS.